Dominique, Rachel and Kesha - thank you for sharing your stories, your words, and your journey with us. This month's episode reminded me that every experience serves a purpose, and often that purpose is to serve as an example of what's possible. Nurture and love yourself in those moments, choose to embrace yourself with your compassion, and trust that anything and everything is possible when you choose to believe it. I’m so grateful for the reflections this month’s stories stirred in me, and I know the words and reflections that are shared in this month’s episode will resonate deeply with you too. *Disclaimer: The views and opinions expressed in this episode are those of the authors and do not necessarily reflect the views of Seek The Joy Podcast. Rate and Review Seek The Joy! 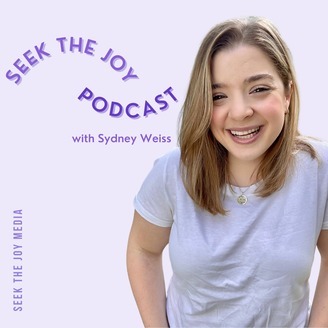 When you do, e-mail a screenshot of your review to sydney@seekthejoypodcast.com and we'll send you our #SeekTheJoy Guide for Infusing More Joy into Your Life and two limited edition Seek The Joy Podcast stickers! We can't wait to send these out to you! Grab your Seek The Joy bracelet today! These are limited edition and they're going FAST! Check them out here - I can't wait to see you guys rockin your bracelet! Introducing Joy Corner a new interview-style blog series spotlighting inspiring souls, moments that bring you joy, products we love, and so much more. Join our corner of the internet and check out this week's features. Ready to share your light, magic and joy? Get in touch here to share your joys, passions and moments of inspiration. a new post in this series goes live on our site every Thursday. We are gearing up for the next episode in The Power of Storytelling! 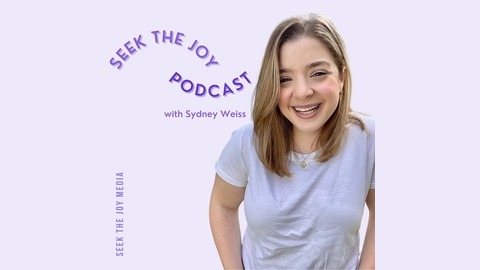 To learn more and to submit your story, visit our website https://www.seekthejoypodcast.com/share-your-seekthejoy-story/ and fill out our interest form.